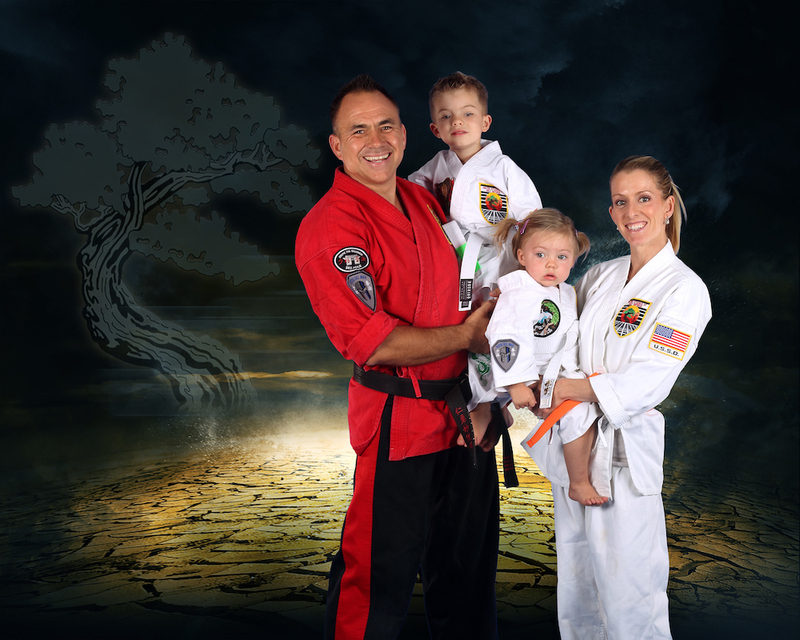 Superior personalized martial arts training for men, women and children of all ages. Our Martial Arts classes give you the added focus, discipline and confidence needed in today’s society. Each student receives a private lesson and unlimited group classes each week. Our Street-Smart Kids program teaches your children effective self defense and bully prevention. “Children Today, Leaders Tomorrow” Be Inspired, Encouraged and Empowered. Ages 4 and up. Our Adults program (for men & women, ages 14+) focuses on Traditional Martial Arts methods for a strong foundation as well as a HEAVY influence of practical training such as Sparring, Grappling, and defenses against Weapons. Our Women’s Self Defense program offers simple and realistic striking methods and grab escapes against bigger and stronger opponents. Use your mouse (or finger on mobile) to spin the image in any direction. Click the arrows on the floor to move forward and backward. United Studios of Self Defense is a large practitioner of Shaolin Kempo, one of the oldest and refined forms of martial arts. Whether you’re a beginner or experienced martial artist, United Studios of Self Defense has a program that fits your needs. Men, women and children of all ages and professions participate in our Group and Private Training Sessions. The United Studios of Self Defense system is an ever-changing wealth of knowledge that is always interesting and exciting to learn. At USSD, you’re not just another martial artist, you’re improving all aspects of your life, both physical and mental. We want you to reach your full potential in every way possible! At Del Mar we teach not only the fundamentals of Shaolin Kempo, but we also incorporate weapons defenses, jiu jitsu and grappling, the physical application in sparring and the mental clarity of yoga. We also offer a Women’s Self Defense kickboxing class as an alternative for women and mothers who want both cardio and a way to keep themselves safe in extreme situations.